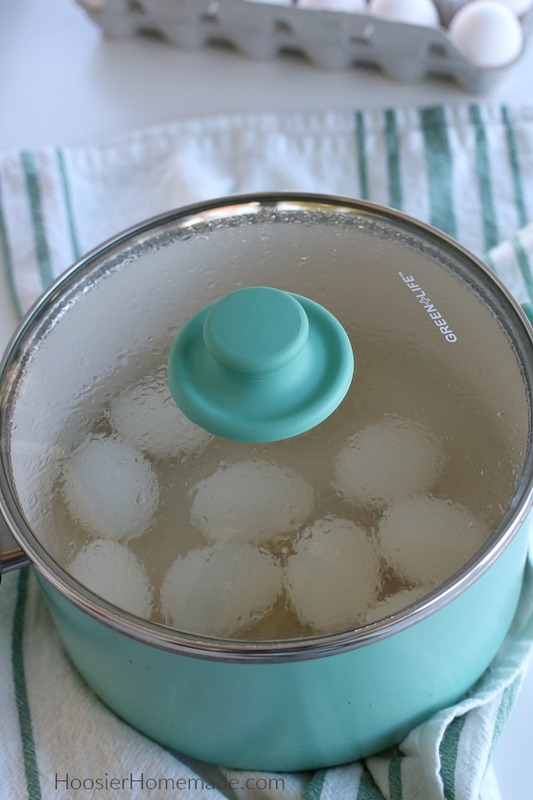 Boiling eggs is one of those kitchen tasks that actually seems super easy, and is, however having a few tricks up your sleeve makes it even easier and they turn out great every time. 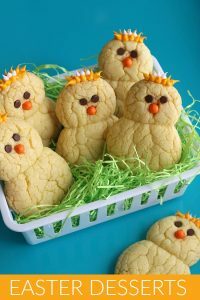 There are other methods to cooking hard boiled eggs – baking in the oven, Pressure Cooker and InstaPot are all popular methods. 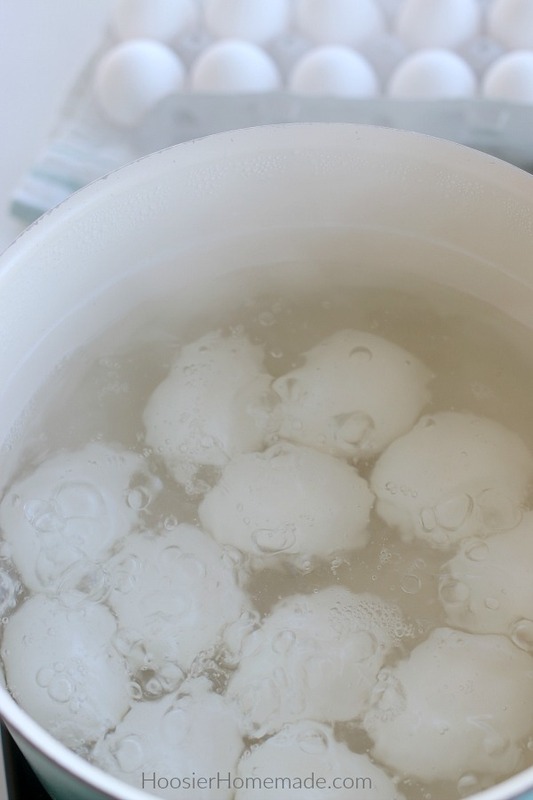 Boiling eggs is still my preferred method. 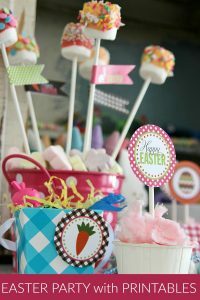 After the eggs are boiled and cooled, the fun starts with decorating. 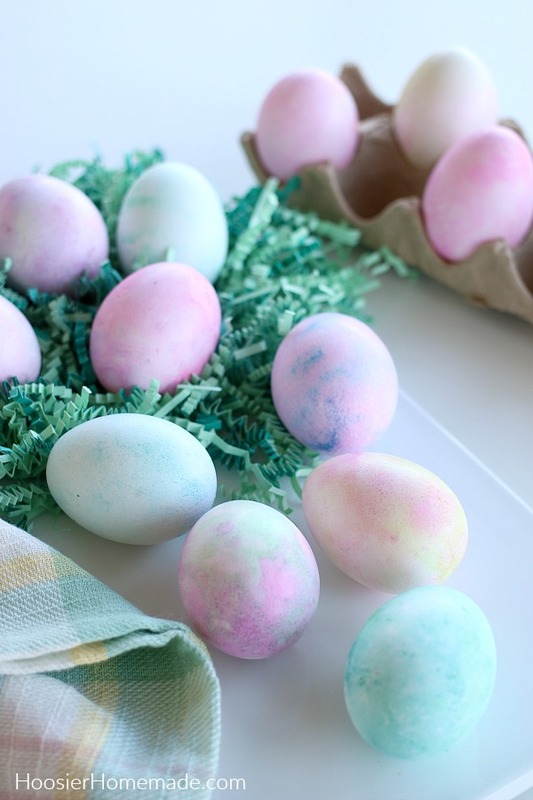 Learn how to dye Easter eggs, or you can color them with shaving cream. 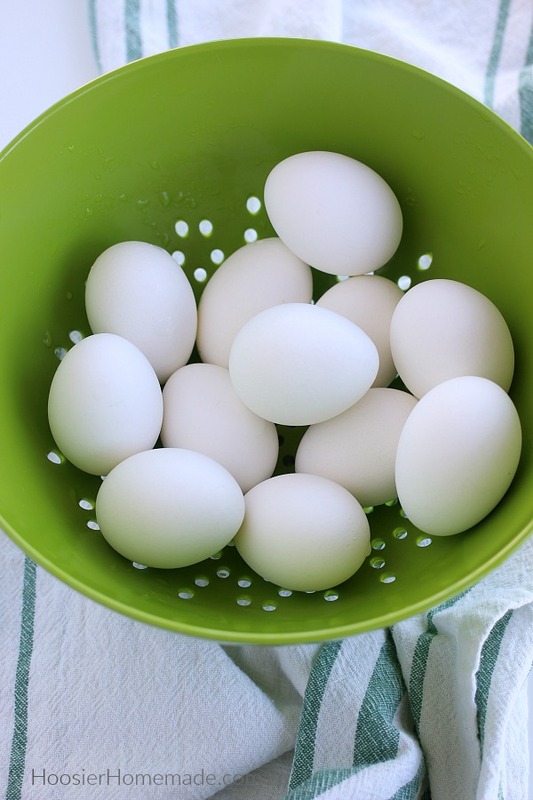 Tip #1: Start with clean, fresh white eggs. 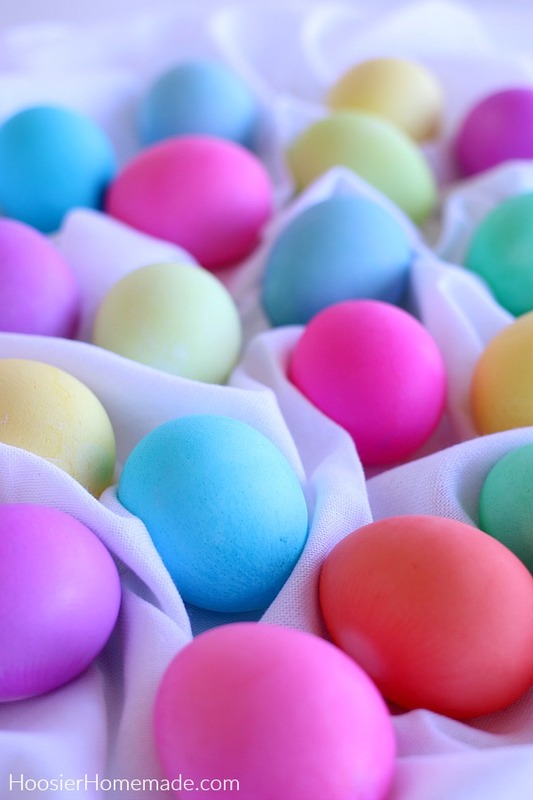 I typically use brown eggs in my every day cooking and baking, but for coloring, using white eggs is best. 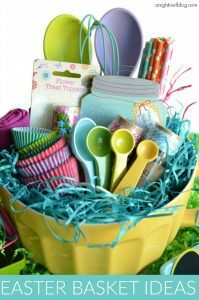 Tip #2: How long to boil eggs for Easter decorating – the whole process will take about 25 minutes depending on how quickly the water comes to a boil. You can see more details below. 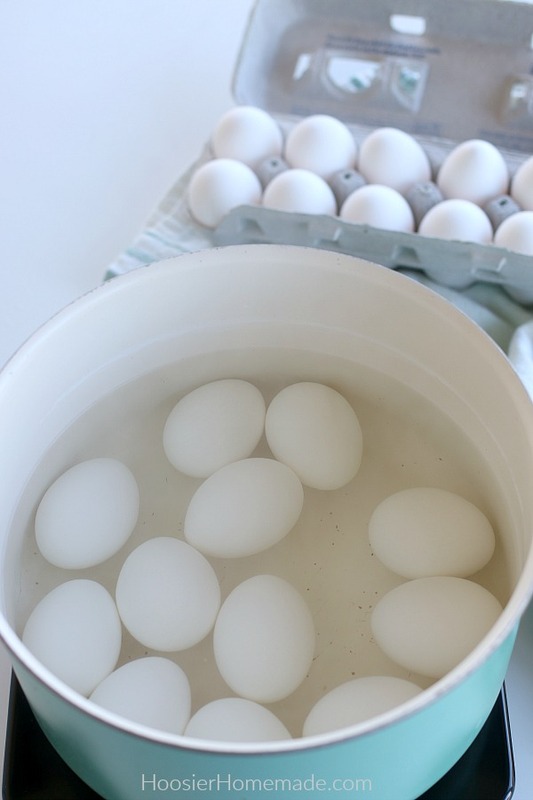 Tip #4: Boil the eggs several hours or the night before you plan on coloring the eggs. Nothing is worse then having the kids excited about coloring eggs, and then needing to wait until they cool. 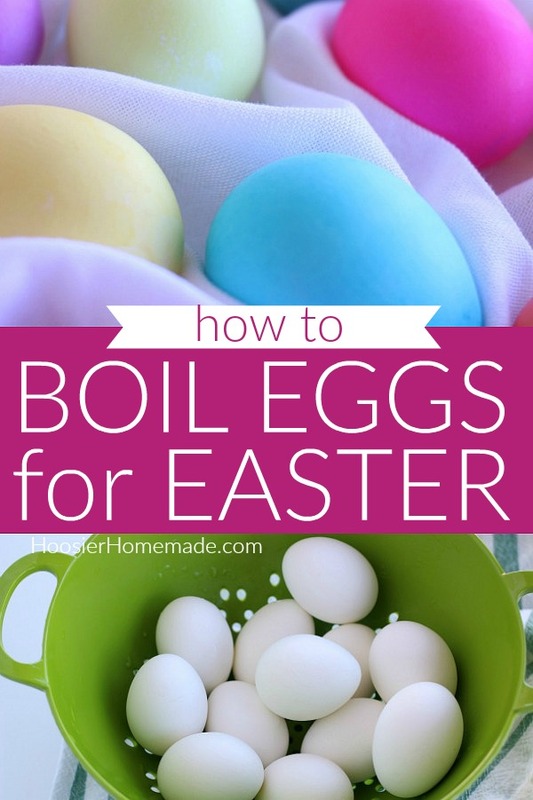 Tip #5: How to boil eggs for Easter without cracking – there are a few tricks you can try to prevent eggs from cracking – 1) start with room temperature eggs before you boil them, 2) use eggs that are several days old or 3) cover the eggs with cold tap water to boil. Add eggs to pan. Be sure they aren’t packed tightly, allow room for them to move. Cover with cold water, with about 1 inch above eggs. Cover immediately and remove from heat. Let set for 12 minutes – be sure to set a timer, if you let them sit too long they will be over cooked. 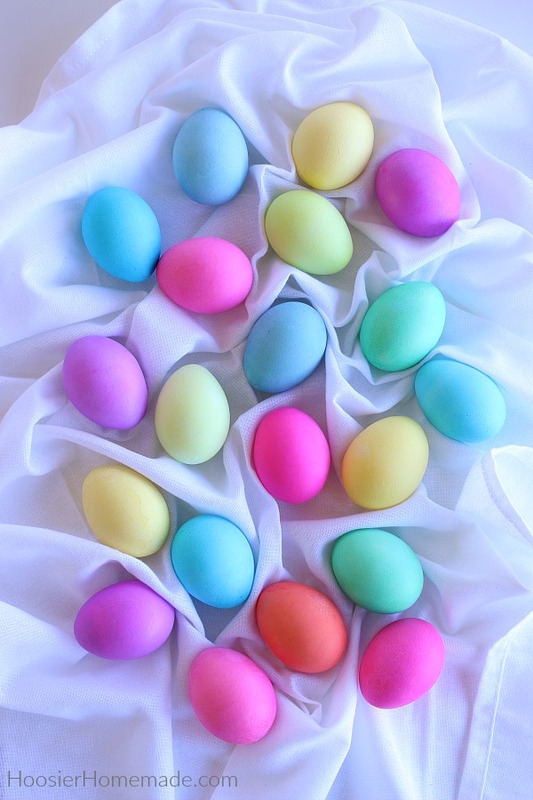 After the eggs are cooled, it’s time to color them. 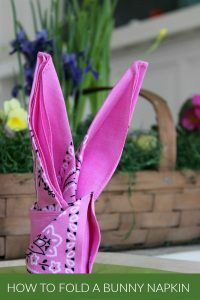 You can learn the tips for how to dye Easter eggs, along with decorating ideas and free Easter printables. 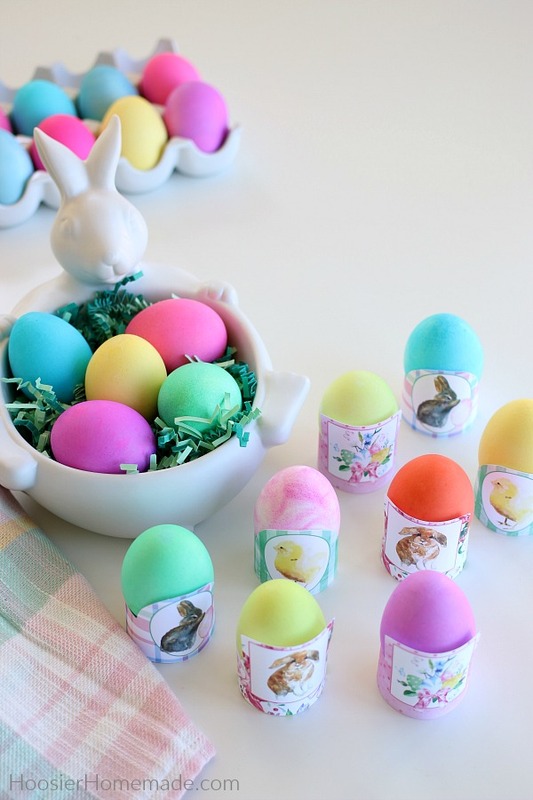 These Shaving Cream Easter Eggs are super fun to make as well! Place eggs in pan. Be sure not to overcrowd them.